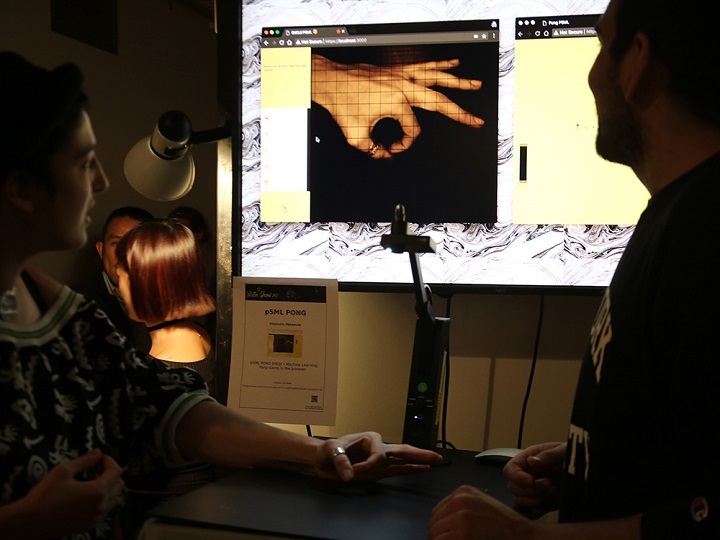 ITP is a two-year graduate program located in the Tisch School of the Arts at New York University whose mission is to explore the imaginative use of communications technologies — how they might augment, improve, and bring delight and art into people's lives. We don’t focus on just teaching technical skills — there are other programs for that. Instead, we focus on critical thinking, creative exploration, and the ability to learn how to learn. We embrace failure — as long as you learn from it. 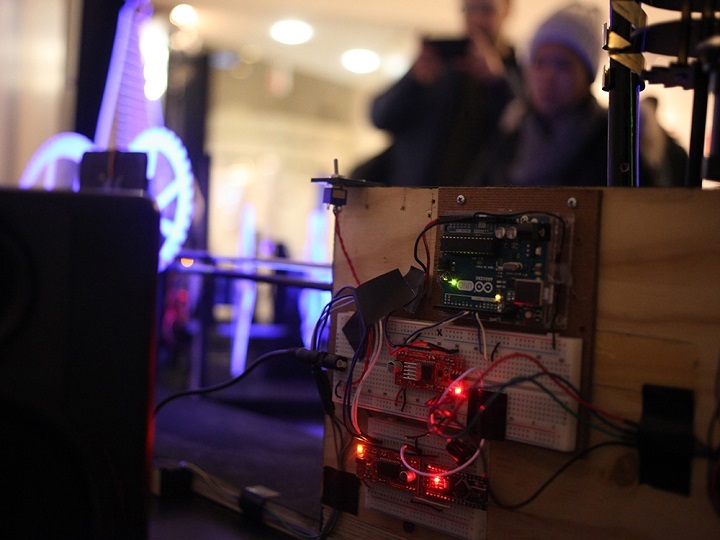 ITP is sometimes described as an art school for engineers and at the same time an engineering school for artists. Perhaps the best way to describe us is as a Center for the Recently Possible. ITP is a two-year program of full-time study leading to the Master of Professional Studies (M.P.S.) degree. The degree requires completion of a minimum of 60 graduate credits within a three-tier structure. The degree is a terminal degree. Ours is an experimental undertaking — new classes are regularly added to the curriculum — students joining the program should be prepared to join in the spirit of this experimentation and realize that they are inventing this new field along with their peers and the faculty of ITP. ITP is also considered a qualified STEM program. The department brings together smart, passionate people from different disciplines, provokes them with the skills and conceptual understanding necessary to manipulate new media and then supports the applications students dream up. It is sometimes described as an art school for engineers and at the same time an engineering school for artists. Located in New York City, we constantly attract the best and the brightest faculty to guide our students, making ITP one of the top-ranked departments in the interactive arena. Take a look at the diverse array of courses we offer with small class sizes - from the practical to the experimental, we are pushing the boundaries of interactivity. Foundation classes provide a baseline of technical skills, conceptual understanding and creative process to support and catalyze student projects. Each foundation course will be offered at least once a year. Generally, students will be expected to complete these foundation courses before moving to Tier Two or Tier Three. Sixteen credits in foundation courses are required for completion of the degree program. Due to previous studies or work experience, some students may consider themselves already proficient in a field covered by a foundation course. They may apply to a faculty advisor for permission to waive it. Waiver of a foundation course does not in itself reduce the 60-point requirement for graduation; it means a student will increase the number of elective studies or fieldwork courses are taken. The second tier classes provide students with contexts in which to develop their creative thinking, problem-solving and technical abilities. The curriculum changes in response to new developments in the field, student interests, opportunities to bring interesting practitioners as teachers and the outcomes of previous semesters. It is a mixture of seminar classes where students read, discuss and write about the implications of new media and production classes where they make things. Students are encouraged to maintain a balance of three production classes and one seminar every semester. Though most classes run for many years, as many as 20% may be experimental. Because failure is a natural outcome of experimentation, students must be prepared to derive value from unexpected outcomes. Students may also arrange for internship credits. See course listings for more ideas about the types of classes that we have run in the past. The majority of classes are 4 points and students typically take 4 courses each semester. There are a few 2 point classes as well. Students register for a final project seminar that is designed to help them define and execute their final projects. It is structured as a series of critique and presentation sessions in which various aspects of individual projects are discussed. Critique sessions are a combination of internal sessions (i.e., the class only) and reviews by external guest critics. Students are expected to complete and present a fully articulated thesis project and related documentation by the end of their last semester. - Please visit the NYU Tisch website for tuition and fees.